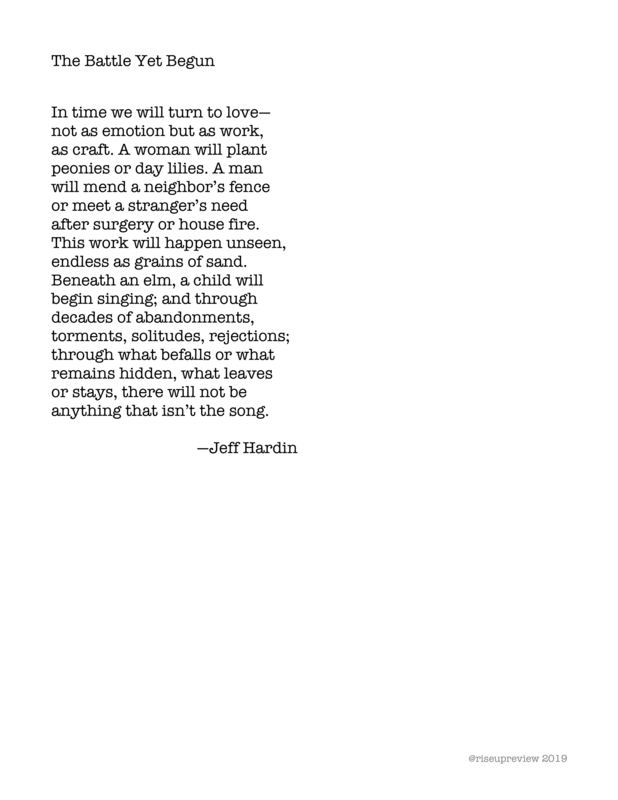 Jeff Hardin is the author of five collections of poetry: Fall Sanctuary (Nicholas Roerich Prize); Notes for a Praise Book (Jacar Press Book Award); Restoring the Narrative (Donald Justice Prize); Small Revolution; and No Other Kind of World (X. J. Kennedy Prize). The New Republic, The Hudson Review, The Southern Review, Southwest Review, North American Review, The Gettysburg Review, Poetry Northwest, Hotel Amerika, and Southern Poetry Review have published his poems. He teaches at Columbia State Community College in Columbia, TN.